Air pumps pump air into the pond, creating bubbles to disrupt the surface of the water and preventing ice from forming. Air pumps are also a nice investment because they are useful in the summer for extra oxygenation when the temperatures rise. The alternative is a pond de-icer. Do I mean a pond heater? No, not really. A heater would heat the whole pond to temperatures above freezing, and that would be really expensive. All you need is a hole in the ice, and a de-icer creates one. These generally circular devices, such as the Thermo-pond or Perfect Climate to name a few, produce enough heat to keep ice from forming around them, allowing the gases to exchange. Manufacturers list the size pond their de-icer is capable of handling on the packaging, and just like everything else electronic, some de-icers are more efficient than others. As a point of reference 200 watts will keep a large enough hole open for ponds up to a few hundred gallons, the higher the wattage the larger the hole. It doesn’t hurt to go a little bigger sometimes, but by no means is it absolutely necessary. Year after year fish store employees are bombarded by folks needing replacement pumps and filters in the dead of winter because Jack Frost finally got to them. It’s just not worth it! Let me explain. In the winter time, slightly warmer water can be found at the bottom of the pond (which is why your fish hibernate there). Your pump is likely also at the bottom of your pond. When the pump draws that warm water from the bottom of the pond and exposes it to the cold winter air, it cools the water even more. Now, unless you plan on crocheting little sweaters for your fish, this is not desirable. If you remember back to grade school science class, water expands as it turns from liquid to solid. If your pump dies, snow takes out a power line, or any other number of other freak instances occur, then external filters, external pumps, UV sterilizers, and plumbing could all be ruined by ice expanding and cracking their poor, plastic bodies. I see it every year. Be proactive and unplug your pump, pull out your filters, detach your UV’s and take them inside where there can be emptied of water and gunk from the long summer. It might not happen to you, but I can guarantee that a de-icer is less expensive than any one of the key components making up your pond filtration. Plus, the winter is a great time to give your equipment the careful inspection it needs so you can be sure everything is functioning properly and simply to just give everything a good scrubbing. 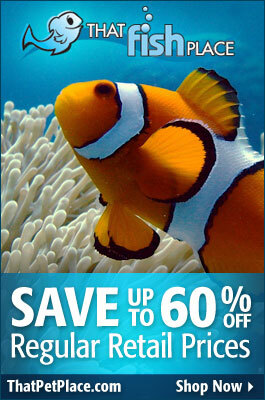 Do that water change now, before it gets any colder! The dreaded water change. I know, it’s a total pain. But it is really beneficial for the pond. Here’s why: filth in your pond can kill your fish. It’s as simple as that. Decaying organic matter left on the bottom of the pond can ruin water quality over the winter when there is not as much biological activity going on. Debris releases acids, such as humic acid, which can and will drop your pH and it will lead to algae and clarity issues when the weather warms back up. 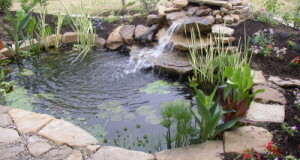 I recommend doing a water change on your pond at least twice a year (once before you start the pond in Spring, and once before you close it in the late Fall). Partially drain the pond using a pond-vac to get all that nasty, leafy gunk off of the bottom, and throw a pond net (such as the Pond-Master PVC mesh nets) over the pond to keep leaves out. Personally, I also like using Microbe-Lift’s Autumn/Winter Prep product to keep the biological filter healthy all winter long. It’s a blend of enzymes and cold-weather tolerant bacteria that can actually live in temps below 40°F. As the temperatures fall, your fish begin to go slow down and enter dormancy. Before they officially zonk-out for the winter you may be tempted to continue their regularly scheduled feedings. For the sake of your fish, make sure you switch their diet from their current staple pellets to an autumn/winter pellet. Cold-weather foods are heavy on wheat-germ and lower in protein content which makes them quick and easy to digest. The natural bacteria of your fish’s intestines continue to break down the food. These bacteria release gases which can lead to bloating and bacterial infections. These four basic steps can make all the difference in your pond’s health. With a little bit of foresight, the transition into the winter months is rather simple. Remember, you will need to practically reverse this process when it comes to opening the pond in spring time, but we’ll leave those tips to the warmer months.